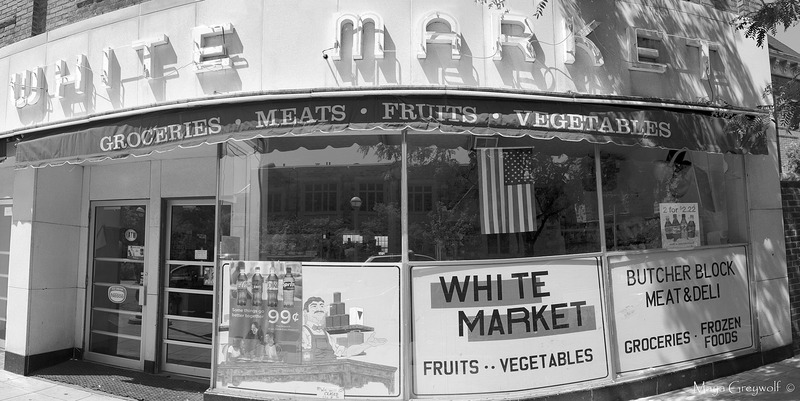 White Market, a local grocery/convenience store, had been a staple of staples for those in the University of Michigan’s Central Campus in Ann Arbor for 80 years. Unable to compete with the high rent potential of the area, the store was forced to close in 2012. Is the store front really curved, or was that some of your fancy photography? Kirsten, it is a panoramic shot. I love these old storefronts..nice shot Maya! Thanks! i love them too and it pains me to see so many of them going by the wayside. What a great place this much be. Amazing it’s been around for so long. So sad, another one bites the dust. I love the retro look of this! Thanks! I did not take a photo of the stark-looking restaurant that is now in its place. It is, indeed, sad. Its sad that a lot of local stores are closing down and you end up having to go to big supermarkets.